Welcome to Lady Charger Basketball! Our upcoming season looks to be another great year. 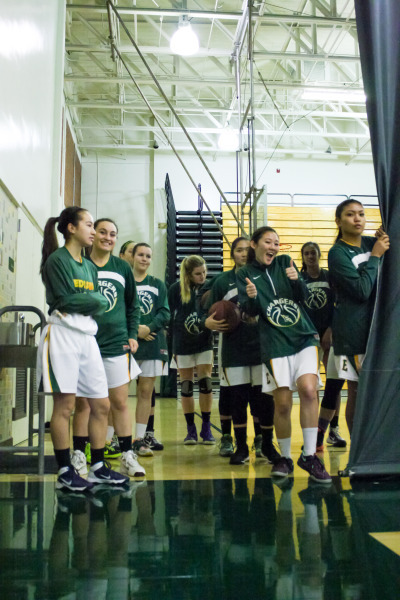 Edison High School athletic programs are a success because the coaches, parents and players all work together. Please remember that your role as a parent in the education of your child is vital, because the support you show at home is often manifested in the ability of the student to accept opportunities and responsibilities presented to them at school, on the court, and in life. We believe very strongly in the Student-Athlete title here at Edison. Striving to be the best, both in the classroom and on the court, is one of our highest goals. Basketball is about Teamwork, Commitment, Sacrifice, Self-motivation, Unselfishness, Class and High Morals. These are the reasons why we believe Girls' Basketball will help prepare your daughter for life’s everyday struggles. You can have a major influence on your student’s attitude about academics and athletics. The leadership role you take will help influence your child, and our community, for years to come. • Realize that athletics are part of the educational experience, with life-long benefits. • Encourage your player to do their best, no matter if they are on the court or in the Classroom. • Participate in positive cheers that encourage our student-athletes, and discourage any cheer that redirects the focus. • Learn, understand, and respect the rules of the game. Respect the officials who administer the game and their decisions. • Respect the coaching staff and the decisions they make. Support them as they strive to educate and mentor our youth. • Respect our opponents as student-athletes, and acknowledge them as they strive to do their best. • Get involved with the Girls' Basketball Booster Club activities and fundraising, as we strive to support the players and the coaches. Please help us push your daughter to excel in the classroom and support our Teams on the court.